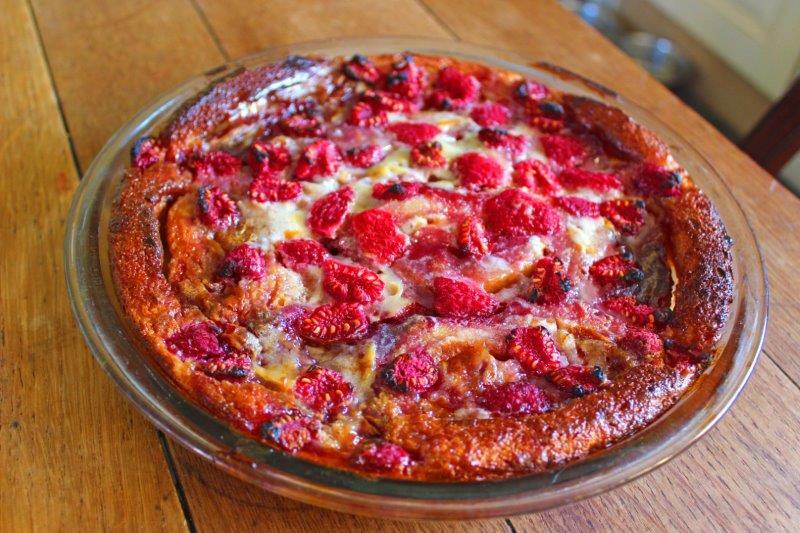 Today I’m sharing with you my brand new (as in I made it up yesterday) Asda Raspberry & White Chocolate Swiss Roll Bread & Butter Pudding Recipe. It’s super tasty and moreish (even if I do say so myself) and it all came about thanks to a drive to reduce food waste! Did you know that in 2015 an estimated 7.3m tonnes of food was thrown away!? Such a figure seems like an unbelievable truth but I assure you that it’s happening right now and nearer to you than you might think. Now I’m sure there’s a few of you sitting there thinking ‘I know I’m not part of the problem’ and that’s absolutely amazing. Truly I salute you for not letting that lemon dry out or those forgotten peppers in the veg drawer go mouldy. However there’s no need to stop there, just because you’re not part of the problem doesn’t mean you can’t become part of the solution! Across the country waste food apps, community groups and cafes are popping up promising to feed you (often very cheaply) delicious food that would otherwise be destined for landfill. This food can be the result of overstocking, short dating etc but it’s all perfectly edible and needs to be used. One such group recently launched near me and I popped along with my youngest to fill a bag. 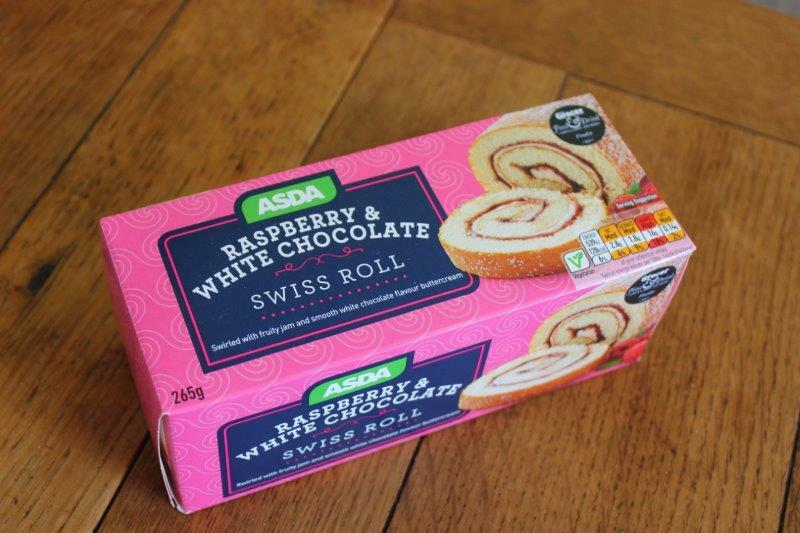 The group has no control over which food products they receive and this week they’d been blessed with an overabundance of Asda Raspberry & White Chocolate Swiss Roll packs. As a result they were encouraging everyone to take one. I’ll admit this isn’t a product I would ordinarily purchase and at first I’d just planned to let the kids partake and leave it at that. On further reflection though I decided we could make more of this humble swiss roll, it needed, nay deserved to become a dessert that could please the entire family! Grease a medium pie dish using the butter, I didn’t measure a specific amount here but I’d put on a reasonable layer. Slice the swiss roll and arrange into the pie dish. 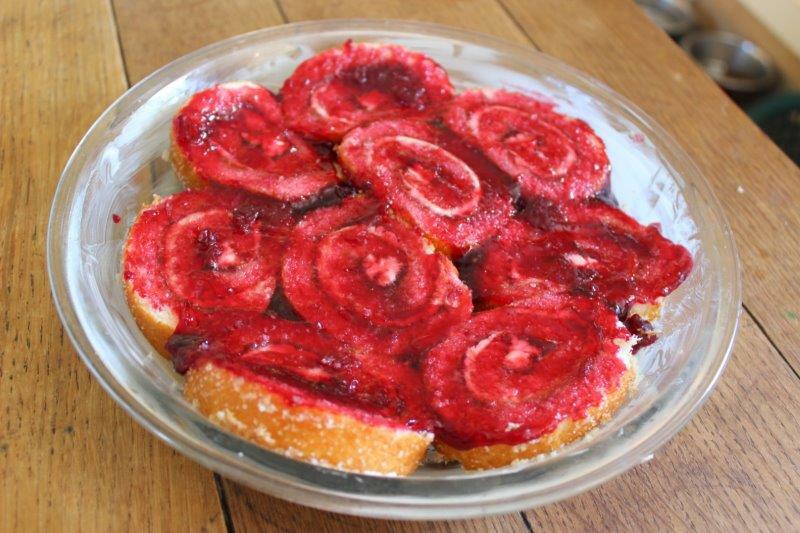 Whisk the milk, eggs and sugar together and pour evenly over the swiss roll slices. Bake in a preheated oven approx. 180C (350G,Gask Mark 4) for 35-40minutes. Enjoy with a dollop of fresh cream or ice cream. TooGoodToGo is an app where restaurants and take-aways can advertise food cheaply (most likely at the end of the day) that would otherwise go to waste. I haven’t personally used this service and it’s not yet available in all areas but might be worth checking out. Olio is another app that claims to be a ‘Food sharing Revolution’ individuals and businesses can advertise items they no longer need/want. Again it will vary by area and availability. 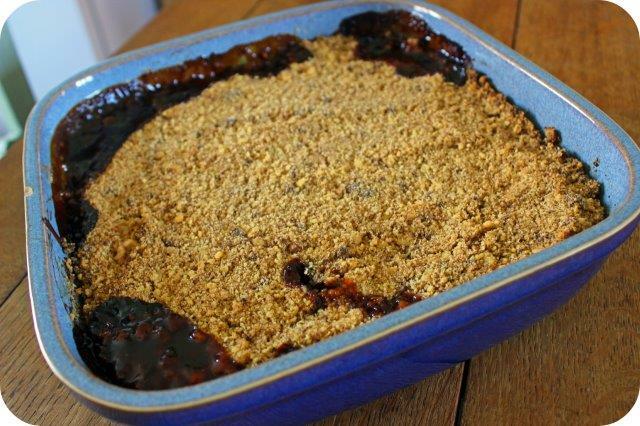 The Best Gooseberry Crumble Recipe! Gooseberries bring back fond memories of my childhood, playing with my best friend in her Grandma’s garden while rushing to pick all the fruit so she could make us a yummy dessert. Unfortunately I never managed to find space to grow a Gooseberry bush at our old house and this year was the first time our new bush produced a useful quantity of fruit. It wasn’t a huge amount but it was definitely enough for one dessert heaped in comforting memories. So today I’m sharing what is in my opinion the best Gooseberry Crumble recipe, it’s super quick and easy plus it has a mega quantity of crumble topping. 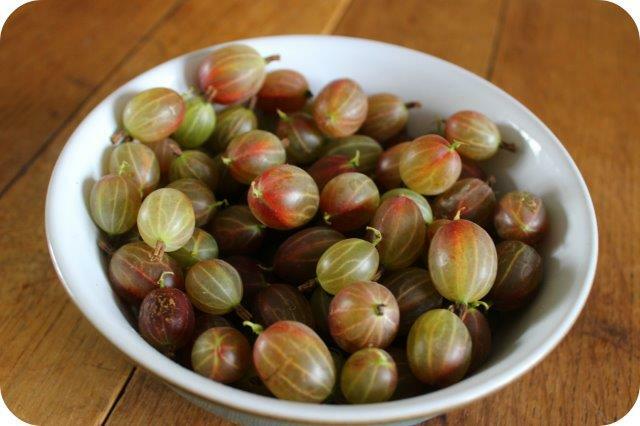 Incidentally if you think my Gooseberries look odd that’s because they’re pink Gooseberries! After washing cut the top and tail from all the gooseberries. Tip. If you don’t want to get bored it helps to have another pair of hands to help with all the topping and tailing! Place the fruit into the bottom of your pudding dish. Sprinkle over the brown sugar, then add the water and give the gooseberries a gentle stir to coat. Rub together the flour and butter with your fingertips until it resembles rough breadcrumbs in texture. Next add in the sugar and ground cinnamon and stir together gently. Tip. If unlike me you prefer a leaner topping on your crumble then the quantities can easily be halved. 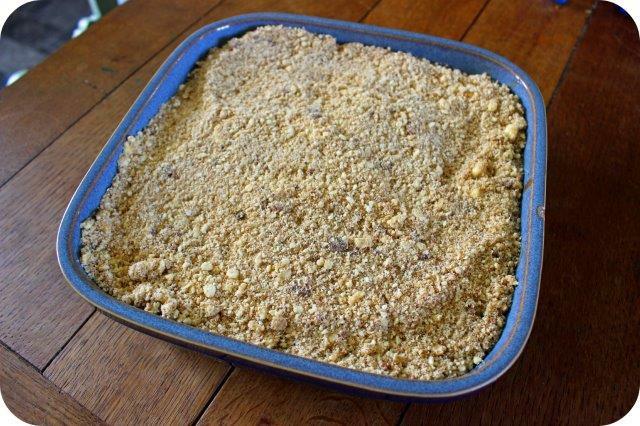 Sprinkle the crumble evenly on top of the fruit and bake in the centre of the oven for 45-50 minutes or until golden. 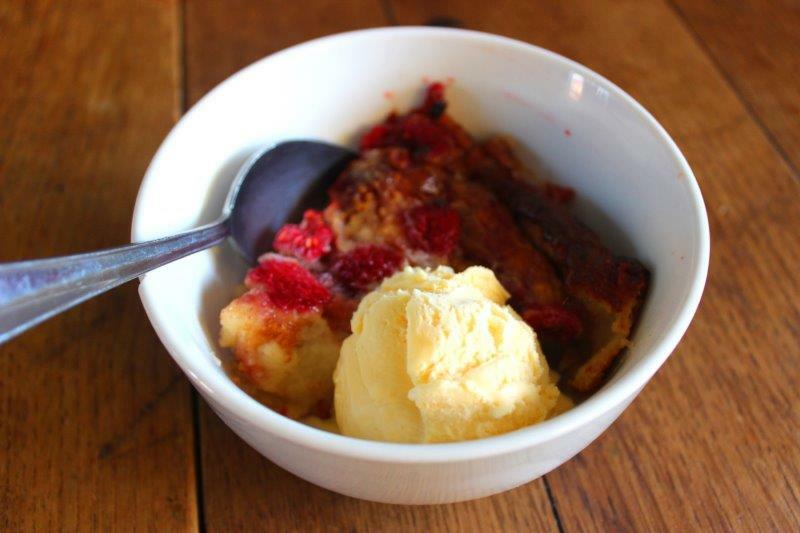 Serve warm with oodles of cream, custard or ice cream. This year our Blackberry bush has decided to produce fruit rather early and my children picked a bumper crop over the weekend. As much as I love a good pudding the weather was so hot and muggy that baking didn’t feel very appealing, so we needed a super quick and easy recipe to use up the berries. 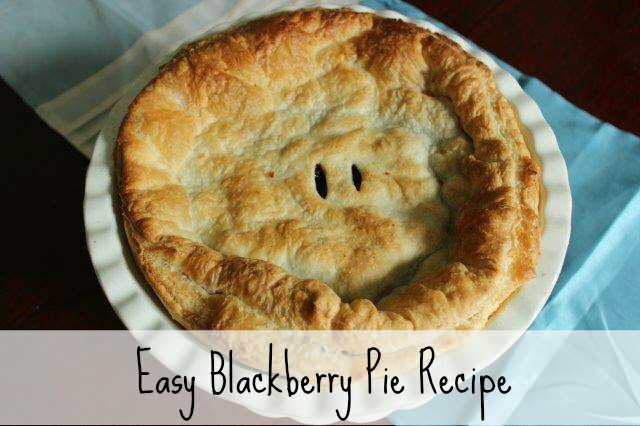 Therefore in today’s blog I’m going to share the most quick and easy blackberry pie recipe that I know! Start by preparing your Blackberries. If they are shop bought then they will just need a quick wash, however hand picked garden berries need to be soaked in cold water for awhile to make sure any resident bugs etc. float up to the surface. 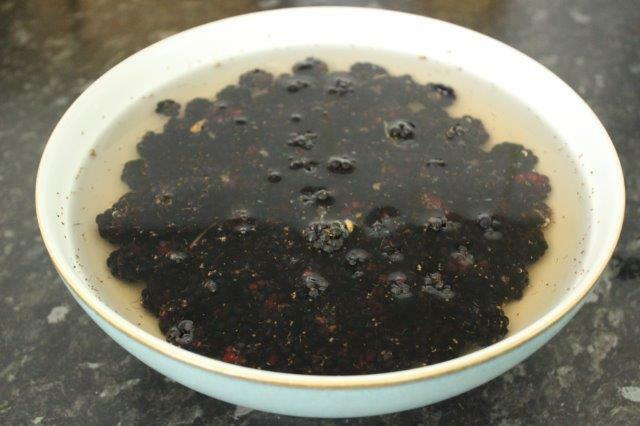 After removing any bugs give your berries a final rinse under the tap. Next you need to roll out the pastry. 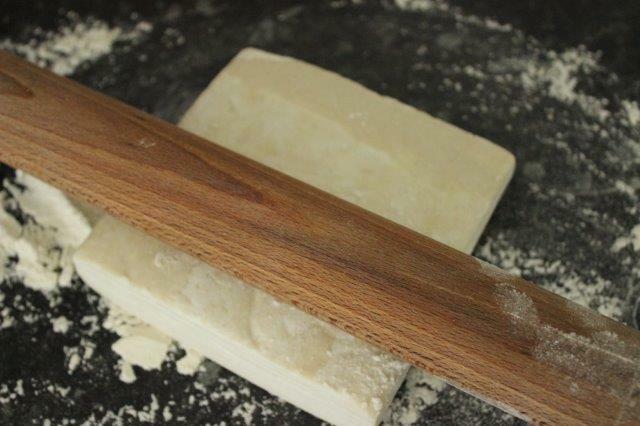 Dust your worktop with plain flour and roll out thinly. It needs to cover the bottom and sides of your pie dish, but as it’s puff pastry don’t worry about a fold here or there, you wont notice it once baked. Cut any excess from the sides. 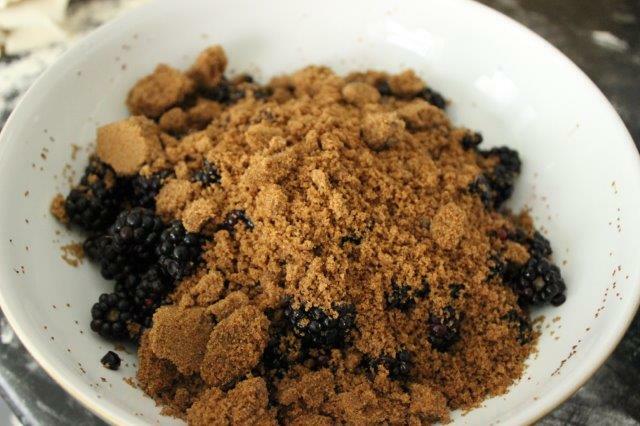 In a large bowl mix together the brown sugar and blackberries. 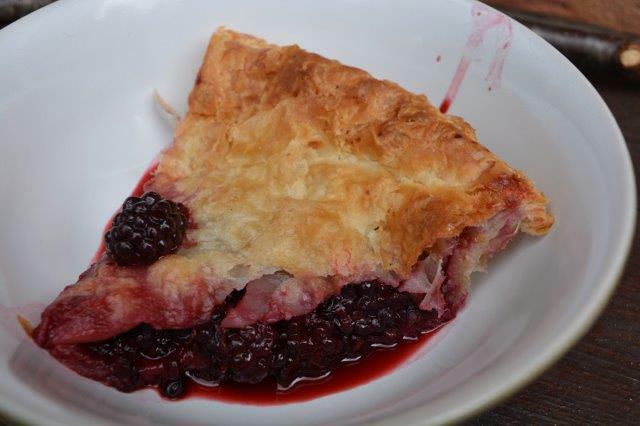 Tip the berries into the bottom of the lined pie dish. 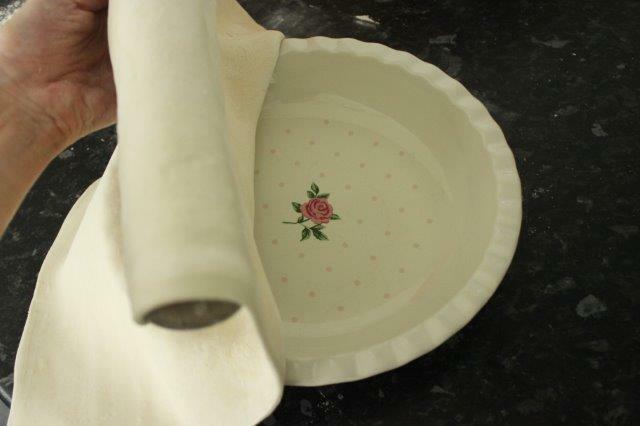 Using the remaining pastry roll out a top for your pie and lay across the dish, pushing the edges together with your fingers to seal. 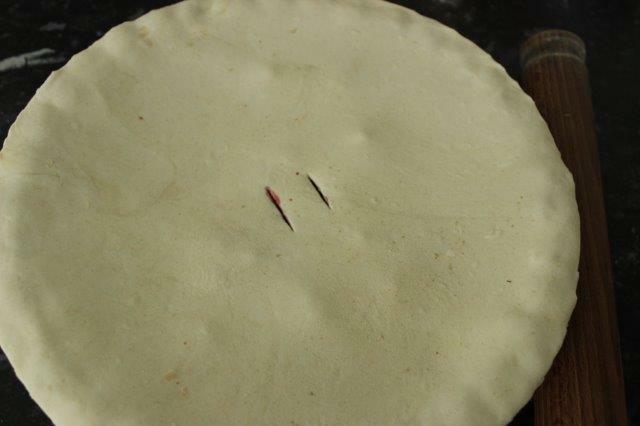 Cut a couple of steam holes into the centre of your pie. Bake in the oven for approximately 25 minutes or until golden and risen. Eat warm with oodles of custard and/or cream and ice cream. Tip. 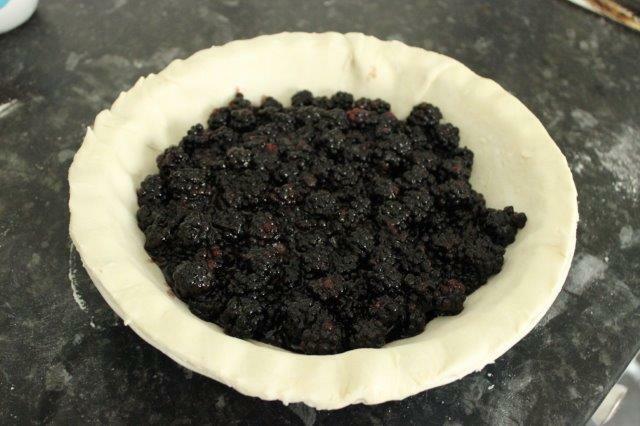 This pie is full of juice, if you would rather have a firmer filling then the berries will need to be precooked or a little thickening added (such as cornflour).